There’s Adobe in my Instagram. I never realize the boundaries we set for technology until they are crossed. Adobe’s new mobile devices software development kit allowing for third-party developers to embed select Adobe technologies into their iOS apps could translate to popular creative apps like Instagram. As Adobe has not yet announced who it is partnering with to develop these apps, expect even more surprises from the company. 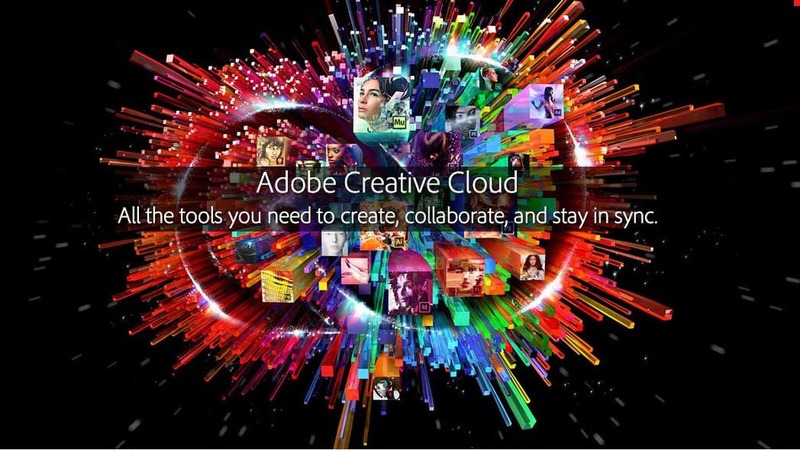 What Adobe-platform partnerships would you most like to see? One of my first blog posts for the IMC program at WVU was a gentle demand that you listen to the UnPodcast. 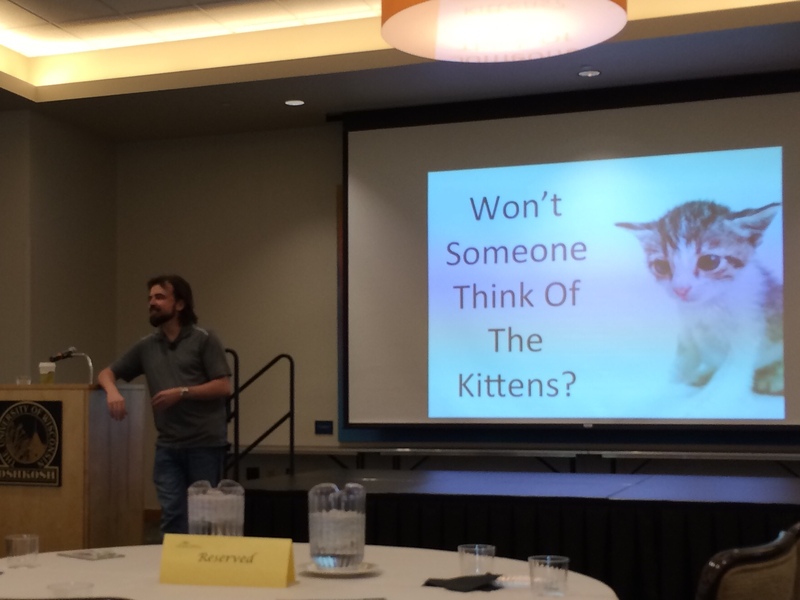 Hosts Scott Stratten and Alison Kramer provided a no holds barred approach to marketing. Having been a fan of their work for a while, I was ecstatic that I would have the opportunity to meet them at ImComm (a marketing conference for the UW System) at which Scott was speaking. I was thrilled the committee booked him because I felt this audience could really benefit from his message delivered in a very honest and blunt way…and I was right. As usual, the content had the audience laughing out loud and questioning their marketing tactics in minutes. Scott was nice enough to answer a few questions after the presentation. I racked my brain for days to try to come up with something to ask him. So, with the knowledge that we are dedicating our lives to IMC and trying to sell it to our employers, I asked the same question I’ve asked 100 times to every IMC professional I’ve ever met. I asked, “What does it take to get buy-in?” Scott communicated the importance of finding what motivates people and connecting your selling points to what is important to them. There are no shortage of personality and character tests that are quick to put us into boxes and provide us with a precise bullet point list of tactics for working with each other. “Personality type Q will best respond to charts, graphs, and 100 page documents outlining all possible solutions.” Each test has their place, but are we really invested in finding out how to build relationships with our coworkers? Knowing that many of my friends and coworkers had tried this tactic before I finally asked, “what it if it still doesn’t work?” To which I received the very honest answer of “get out”….run. If that last line scares you….good. I always hoped that would never be an option, but for some companies it is never going to happen – and you can’t waste your time and energy. The uphill battle to sell all of the right people on IMC might not be successful in your organization. There are some people that will never buy in. If that’s not something you can live with, you may need to get out. It’s tough to identify the companies that are receptive to IMC, but thanks to great advice by Elliott Nix, we at least have a place to start. IMC is not an easy thing to initiate at any company. It is frustrating and, at least for me, can make you feel crazy at times. The conference reminded me that we can make a difference, it just takes strategy and patience. There will be times where the company culture and IMC just don’t mix and we have to move on. That’s not to say it will never work for that company, but maybe just not right now. It’s ok for IMC professionals to pick a different battle. I’ve made it my personal goal to try to ask “why” at least once a day. Are you asking why? What great “why” stories do you have to share? Pay When You Hit Play. YouTube has become much more than the land of viral cat cuteness and cringeworthy-yet-catchy music videos. Today, both content creators and subscribers have different relationships with the platform. YouTubers like beauty guru Zoella and gamer PewDiePie earn a living from their content thanks to the millions of viewers who watch their channels every day. But what if you had to pay a fee to access YouTube? Would you pay to watch YouTube videos? As Google recently confirmed plans to introduce an ad-free subscription music service for the platform, things are moving in that direction. The fee-based service will be limited to music for now, but it could eventually apply to other popular categories like beauty and gaming. If so, YouTube uniquely challenges Netflix and Hulu for paid content subscribers by being a medium for creators of any skill level to publish content. Netflix and Hulu libraries feature movie and television shows, but YouTube is all about, well, you. It will be interesting to see how Google, content creators, subscribers, and competing subscription services handle the shift. 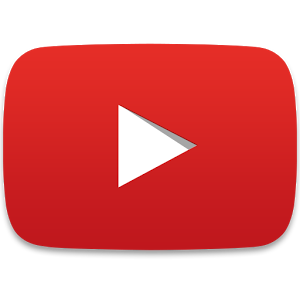 Will YouTube successfully evolve its brand or is the move destined for failure due to established consumer expectations of the platform? 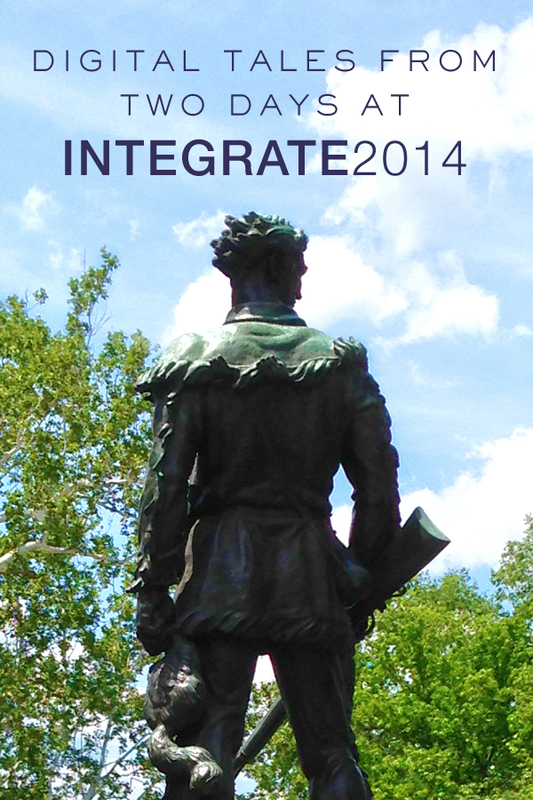 The “and more…” is in large part attributed to the annual INTEGRATE conference. Unlike other marketing communication conferences where attendees pass like ships in the night, I view the INTEGRATE conference as “the event” that anchors my year. It is not everyday that you are surrounded by the caliber of talent that congregates in Morgantown year after year. It was truly inspiring to meet new faces this year, including Kat, who epitomizes and exemplifies a passionate and dedicated IMC student. Three years ago, I was a wide-eyed Freshman attending the big event. I knew very few , if any, of the faces or names of anyone sitting around my dinner table. This year, I knew all but two individuals at my table. With each passing year, I have begun to judge my professional IMC accomplishments against the calendar year of the INTEGRATE conference. After year one, I forged face-to-face connections with faculty and fellow students and I even started an IMC Pinterest board. After year two, I became a blogger for the program and continued to forge even deeper relationships with fellow IMC’ers. After year three, I became an author for Steamfeed.com, connected with IMC bloggers Kat & Rebecca, joined Twitter, tried out Google Glass, and was accepted into the WVU IMC Classmates Facebook Page (The conference continues throughout the year on social media!) All of these accomplishments, including meeting the large majority of my e-connections, would not have come to fruition if I did not attend INTEGRATE. After Elliott’s keynote we sat down with him to ask just a few more questions about innovation. Elliott said the key to overcoming blocks in innovation is to ask yourself, “What’s the immediate answer, and then what’s the exact opposite?” What’s the answer that is going to get you fired? You take the second idea and do what you can to poke holes in it. If you can’t…that’s the one you should go with. Elliott also challenged us to think about the problem in a different industry and find out how you can apply that to your industry. We would like to say a monumental thank you to the IMC team and executive team Nicole, Chad, Shelly, Judy, Briana, Rick, Michael, Aaron, Rachel Mort, and Rachel Angry for everything you did to bring INTEGRATE 2014 to fruition. We are a couple days away from the final leg of the Tripe Crown, with the race at Belmont Park scheduled for June 7th. California Chrome, who will be allowed to wear his nasal strips, will attempt to become only the 12th horse in history to win at the Kentucky Derby, Preakness and Belmont. California Chrome (photo from Sports Illustrated)! A horse threatening to complete this feat must be music to the ears of NBC, marketing affiliates and anyone who will be collecting bets or doing race related business on June 7th. People are excited to see California Chrome attempt to make history and last month it was reported that ticket prices were up 48% since California Chrome had won the Preakness Stakes. This isn’t too dissimilar to the lesson I learned back in March, when I watched the price of Sweet 16 and Elite 8 tickets to Madison Square Garden climb sharply as my UCONN Huskies advanced (by the way, the price of admission to see the boys in blue take down MSU was worth every penny). Similarly, you’ll probably recall that leading up to the Super Bowl, the expert’s discussed how the different teams that could potentially advance would impact the cost of tickets on the secondary market. There is no doubt in my mind that while we cheer on our favorite teams, athlete, or horse, for the love of the game, there are a number of business men and women who are simply hoping for the outcome that will provide the greatest exposure for their brands, excitement and potential for revenue. We have no control over the outcome of sporting events, or other current events for that matter, but when moments like this come along, marketers should be prepared to take advantage of the situation. I know that I heard and saw local Connecticut businesses leveraging the excitement in our state in their marketing and communications during and after the NCAA tournament. I am sure those in horse racing are thinking of ways to leverage a Triple Crown winner, should they be provided one. Who hasn’t seen this? Quick, smart and effective! Sporting events are unpredictable – but those brands that are prepared to quickly react to the unexpected, and any and all potential outcomes, will be well served. Social media has changed the game, requiring those reactions to be even more rapid (who can forget Oreo’s show-stealing stunt that went viral on Twitter during the 2013 Super Bowl?). I’m excited to see what happens on social media on race day, especially if the stars align for California Chrome. I’m sure a handful of brands have already mocked up some images to be shared on social media, depending on the outcome. Panasonic is an example of one brand that must be interested in the results – they installed the world’s largest 4K video board at Churchill Downs for this years Kentucky Derby, showing off their technical prowess and demonstrating new technology. This move has already resulted in ample earned media for the brand, but wouldn’t you expect Panasonic to be rooting for a Triple Crown winner? This result may mean more interest in horse racing in 2015, a larger television audience for next years Kentucky Derby, and more exposure for their technology. Will you be watching the Belmont Stakes on Saturday? What are your predictions? Who will the big winners be, both on the track and on social media? 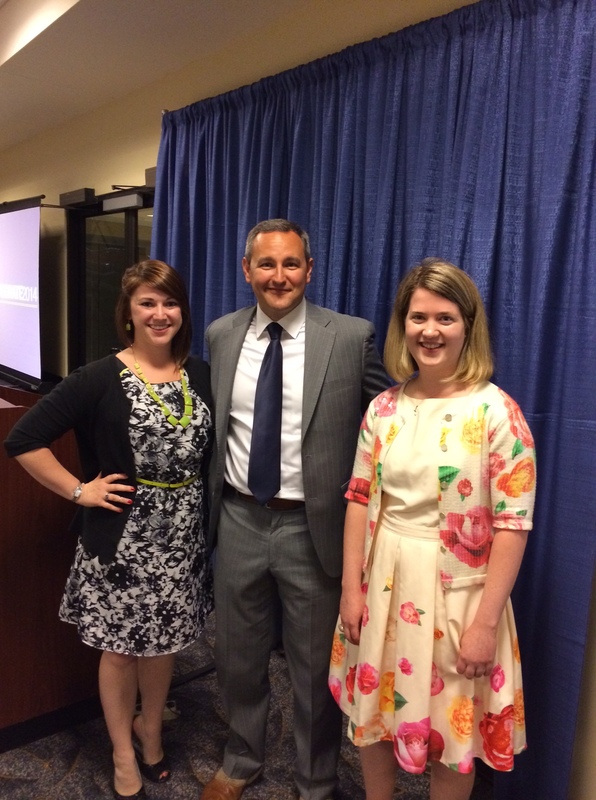 You are currently browsing the WVU IMC Blog blog archives for June, 2014.